School Children enjoy getting trained and being treated different. Nurturing an interest to manage themselves in a better way is a skill and I am glad to be a part to create an awareness of having a good personality . Making them ready for the future with confidence. A must for everyone to follow.We do follow..No harm to learn too. An experience of making children aware of little details is well enough to make them correct themselves.I love it when the school goers enhance their eating skills.It is essential. A satisfied look sprawls on my face when my clients show me how they improved in their walking style,expressing their views in a professional manner,conducting themselves confidently. All these with knowing the right moves,right expressions,correct postures,gestures and some more. A Confident Approach with a good Body Language. Learning a language is very interesting and helpful.It has no age limit.My experience to have made students and Professionals get trained in learning English Language is by far the most satisfactory. When one speaks wrong is when one starts learning so no fears.Let the words flow and it will certainly fall into place. 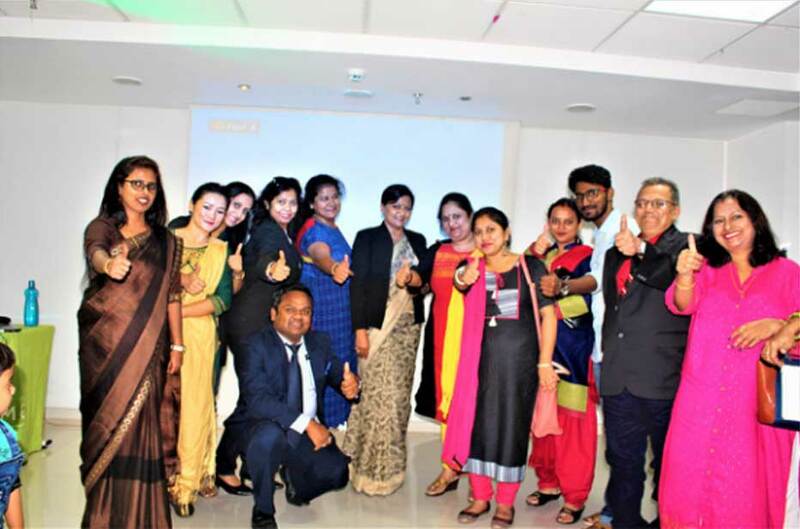 A workshop for the clients of a beauty firm on attractive dressing and Body Shape was indeed very successful.It is a step to enhance one’s image and perception about themselves to make a good First Impression. The members were very enthusiastic in their approach to know and learn about their own self.